I've been immersed in the 1940 census the past few weeks, which is why there has not been a recent newsletter. As soon as that is complete we'll have some interesting commentary on who was who and what was what in the Mansfield area in 1940. Charles Lee Johnson and a 1930s era truck. On looking at the employment of the residents the importance of several of the local businesses stands out. The Mansfield Novelty Works, The Dairyman's League and Johnson's Trucking, along with the college, were major employers at that time. 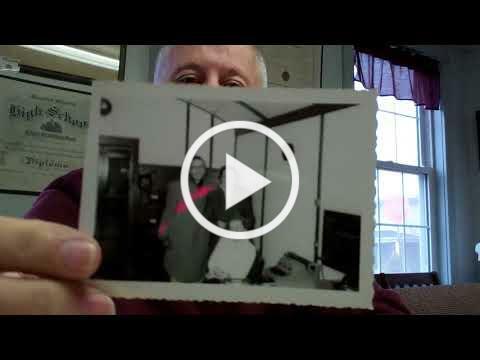 Scott Johnson, great grandson of Johnson's Trucking Company founder, Charles Lee Johnson, brought in some great photos to illustrate the story of this important local business. So far we know of two reunions this summer. If there are more scheduled, let us know so we can be part of welcoming you home with free refreshments and a chance to visit the museum. May 18 - The MHS Class of 1962 will be in town for the memorial service of classmate John McNaney, Jr. It will be at St. James Episcopal Church with a luncheon to follow. 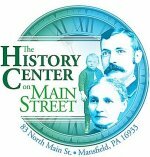 At 2 PM the class and anyone else is invited to a presentation of Mansfield Then and Now at the Museum of Us, 61 N. Main Street. In the evening the group will meet at Corey Creek Golf Club. August 18 - The MHS Class of 1958 will celebrate 60 years. 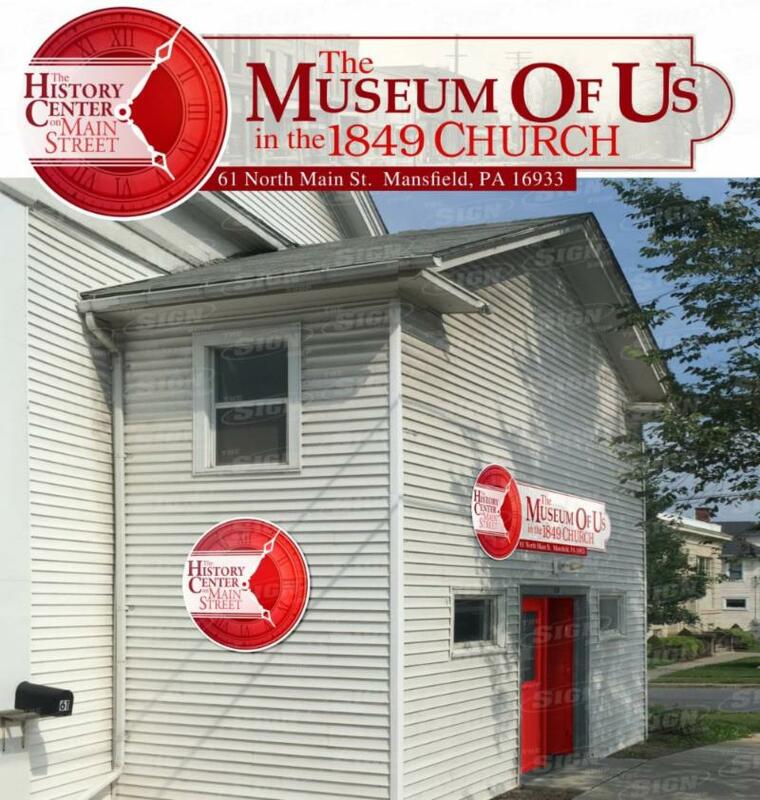 The Museum of Us will be open that day from noon to 4 P.M. so that the class can visit us and see Mansfield as they remember it. The Museum of Us will be so pretty now that we have been awarded a grant to spruce up the outside of the building. This includes new signage designed by Tony Cooper at The Sign Shop. The sign will be above the new red matching doors at the front of the building. People will know we are here now. We'll also have new paint and other exterior improvements. This building was erected in 1849 as the original Methodist Church. It has been used by three other congregations since and was even a furniture store for a short time way back in the late 1870s. It is one of the oldest and most historically important buildings in town having been the site of the first discussions on starting a seminary. That 1857 seminary evolved into Mansfield University. To take full advantage of this opportunity we need $5000 in donations to match the $5000 from the grant. This is not only an enhancement for us, but also for Mansfield's Main Street. When the buildings look good, the town looks good. Please consider contributing to make our facelift possible. We also need volunteers to help with the work. We are a 501c3 corporation, so donations are tax deductible and we will send you a receipt. Graduation at Mansfield University this year brings to an end a two year work relationship with our work study student, Jackie Miller. Jackie is local having graduated from Williamson High School in 2015. When she joined us in June 2016 at the end of her freshman year we were delighted that we'd have her working here for three years. Alas, she flew through her course work at the speed of light and is ready to graduate. 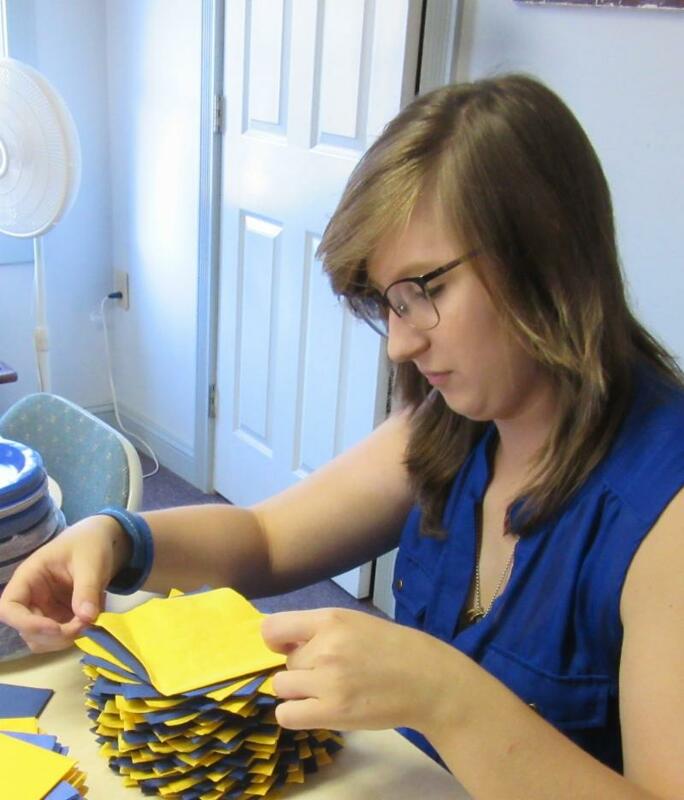 She has worked on a variety of projects from folding napkins for an event to arranging exhibits to cataloguing all manner of items in our collection. She has exceeded our expectations in every project she has worked on and has mastered every aspect of our museum software. Jackie intends to go to graduate school and plans a career in museum work. We wish her well, and we will miss her. Have You Missed Previous Newsletters? Some of our 2018 membership notices were damaged in the mail. If you did not get yours or want to become a new member click here. Thanks.